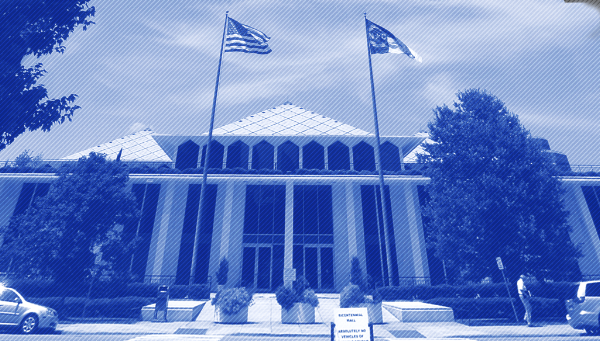 On Tuesday, the North Carolina Supreme Court ruled against Governor Roy Cooper, who had sued to block two proposed constitutional amendments from appearing on ballots in November. The amendments, introduced by the Republican-controlled legislature, would substantially transfer power from the governor to the state legislature, including by limiting the governor’s ability to select judges to fill judicial vacancies while giving a major role in the process to the legislature. Cooper alleged the ballot language describing the amendments was misleading, and earlier this month, a panel of North Carolina Superior Court judges agreed, blocking the two amendments from appearing on ballots with the General Assembly’s proposed language. Following that decision, the legislature reconvened and made changes to the amendments and the accompanying language, and Cooper sued again. The panel determined that, while the new language “may not be the most accurate or articulate description of the purpose and effect of these provisions,” it could not determine that it is “so misleading, standing alone, so as to violate the constitutional requirements.” The North Carolina Supreme Court affirmed the panel’s decision in a one sentence order. This week, just before trial was set to begin in a federal racketeering lawsuit alleging insurance giant State Farm orchestrated a scheme to influence an Illinois Supreme Court election, to avoid a $1 billion verdict against them, the company settled for $250 million. The original $1.1 billion verdict came down in 1999, five years before Chief Justice Lloyd Karmeier was elected to the Illinois Supreme Court in the most expensive state supreme court race of all time. The year after Karmeier’s election, he cast a crucial vote overturning the award against State Farm. According to Bloomberg, the plaintiffs in the current litigation alleged that, in order to avoid payment of the billion-dollar judgment, State Farm led “an effort to recruit a judge friendly to its cause for the Illinois Supreme Court, secretly funding Judge Lloyd Karmeier’s 2004 election campaign by funneling money through advocacy groups that didn’t disclose donors.” The plaintiffs claimed that State Farm spent more than $3.5 million to elect Karmeier, who was scheduled to testify at trial. The plaintiffs sought $8.5 billion in damages. Today marks the fourth day of hearings for Brett Kavanaugh’s nomination to the U.S. Supreme Court, in which judicial independence and legitimacy have been central issues. According to the Brennan Center’s analysis, JCN has run ads worth three times more than the next biggest spender – and more than double all anti-Kavanaugh ads combined. Last week, Senate Majority Leader Mitch McConnell (R-KY) and Minority Leader Chuck Schumer (D-NY) struck a compromise to expedite the approval of 15 federal judicial nominees and four non-judicial nominees. Even before party leaders struck this agreement, Trump had filled federal judicial vacancies at a record pace – he has already had 26 circuit court nominees confirmed, more than any recent president at this point in their presidency. One nominee confirmed as part of the deal, Charles Barnes Goodwin, confirmed to the U.S. District Court for the Western District of Oklahoma, was rated “not qualified” for the position by the American Bar Association Standing Committee on the Federal Judiciary. This marked the third time that the Senate confirmed a Trump nominee rated “not qualified” by the ABA.